As snow storms relentlessly pound the East Coast, people are bundling up and dressing for hazardous conditions. Yuka, a fellow RISD photography student, shows us that fashion doesn’t have to be abandoned in blizzard weather. One way to keep your look classy while protecting yourself against the cold is to wear lots of layers. Yuka mixes understated yet creative textures and patterns together effortlessly, and, despite the variety, maintains a cohesive color palette. 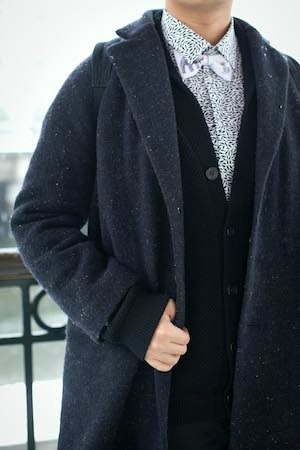 He wore a fish-patterned shirt and a cardigan purchased in Paris, then tied it together with a warm wool coat. He kept his trousers simple, opting for a solid black pair. 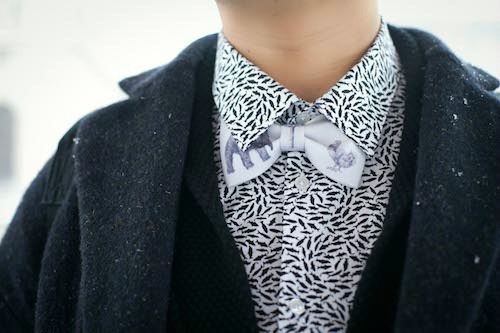 Yuka tied (no pun intended) his look together with a clever bowtie. It was given to him by a friend who bought it in a nature museum. The tie is a fun twist on the traditionally formal accessory, and keeps his outfit looking youthful and cool. Large-framed glasses keep Yuka looking smart and professional. 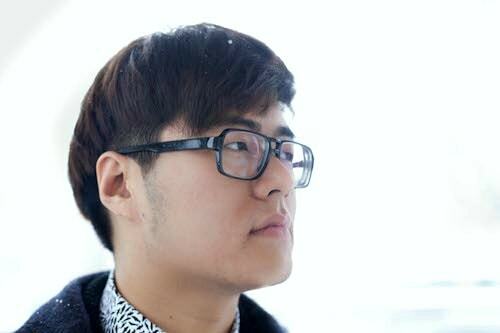 They frame his face nicely and make his look feel retro with a hint of nerd-chic. 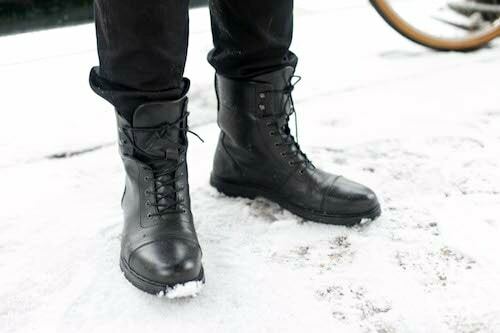 Combat boots are a great go-to shoe; they’re versatile and work well for pedestrian-friendly cities. Yuka got his pair at H&M and they add a trendy yet practical touch to his ensemble. 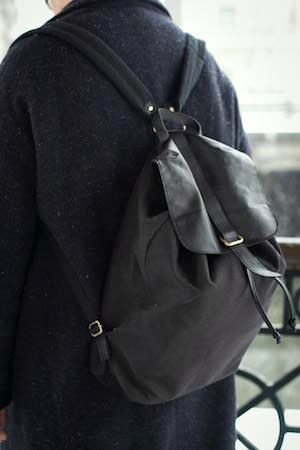 Finding a good-looking backpack can be difficult at times, but Yuka’s sleek backpack is a great find. Not only does it conveniently store his books, but it’s also a stylish accessory. And what do you think about Yuka’s cold weather look? Are you a fan of his cool backpack and mixing of textures and prints? Let us know what you think by leaving a comment below.